The SRC has drafted an international student’s memorandum which highlights their issues surrounding registration, the application process and up-front tuition payments among several other concerns. The memorandum will be handed to Deputy Vice-Chancellor Vilakazi on May 26. The SRC has drafted a memorandum highlighting some concerns faced by international students at Wits. The memorandum is said to detail issues which were raised at a meeting held by the SRC on April, 23 which invited international students to voice their grievances. Students highlighted the registration fee, application process and 75% up-front tuition fee payment as some of their serious concerns. Tanya Otto, the SRC’s international affairs officer, said the complaints were raised more strongly as a result of xenophobic attacks last month. “The anger of international students came across when they said that these issues have been happening forever,” Otto said. The memorandum was compiled by Otto and other international student representatives. 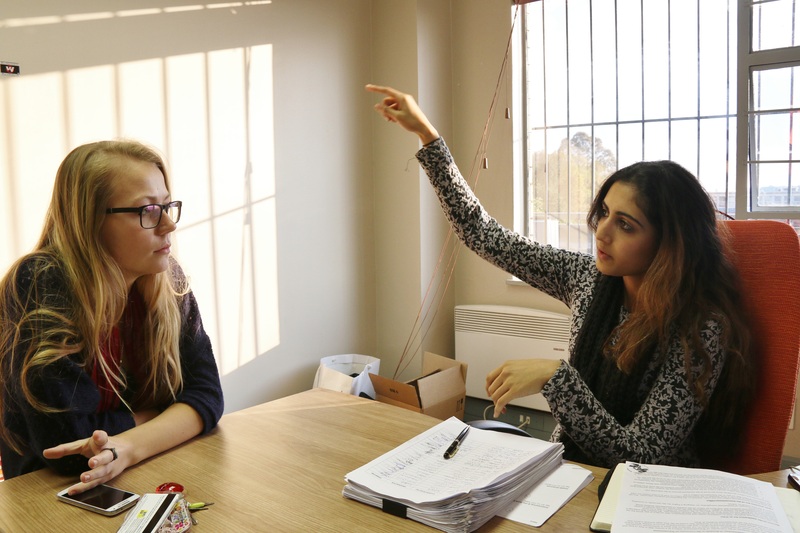 Shaeera Kalla, acting president of the SRC, described the initial meeting as “hostile” and said her concern is to get international lecturers at Wits to help “push the agenda for international students at Wits and their own issues”. “I am looking at this memorandum as a first step to negotiations around international issues,” Kalla said. “The SRC aims to create a platform for international students to feel comfortable enough to speak about their issues without feeling it is just going to be dismissed,” Kalla said. The SRC felt there was a lack of response from international students at the initial meeting and said she saw the current memorandum as a “working document”. “There needs to be more issues addressed in the memorandum than relate to other stakeholders,” Kalla said. She said these were international lecturers and international non-academic staff at Wits. The SRC aims to have events throughout the year in which they can promote international cultures in order to “create a safe environment where international students feel like they are heard,” Kalla said. Kalla added that the extent to which local students are willing to get involved in international students’ issues and assist them also needs to be acknowledged. Otto said the memorandum was compiled last week Friday and the SRC will present the memorandum to Deputy Vice-Chancellor, Professor Zeblon Vilakazi on May 26. Otto and Kalla said of the 15 international student associations on campus, only four have responded and provided input for the memorandum. Kalla said the SRC is focused on creating an environment which can foster discussion. She said they aim to eventually extend the memorandum to focus on broader issues regarding international students and academics issues with home affairs and issues faced by all international visitors. Foreign students complain of unfair treatment at Wits, April 2015.
International students claim unfair treatment, May 2015. Fear grips foreign students, April 2015. Foreign students forced to pay tjo tjo, March 2015.